New 2019 Catalog! 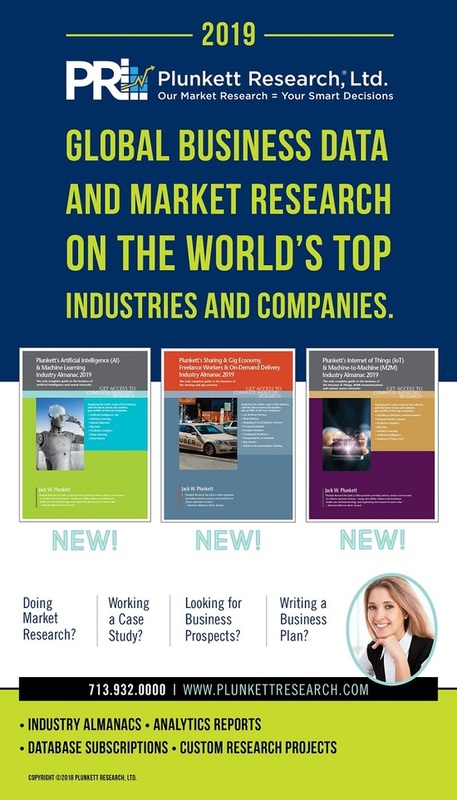 Don't Miss Our New Titles - Plunkett Research, Ltd.
Each almanac gives you up-to-date market research, trends analysis and new technologies for each industry sector, PLUS industry statistics, profiles of hundreds of leading companies, executive contacts and much more! And, subscribers to our terrific Plunkett Research Online system get all of our new data, plus constant updates to millions of business and industry data points. This entry was posted in News on October 3, 2018 by NOTadmin.